Unless you are a native to Hawaii, understanding real estate in Honolulu can be a bit confusing because there is the City of Honolulu, the County of Honolulu and then there is the entire Island of Oahu which technically is all within the County of Honolulu. But the confusion doesn’t stop there! All those little outlying islands surrounding Oahu are also technically part of Honolulu as well. Therefore, if you are looking for real estate in this amazing land of sun and fun, it is important to be able to differentiate between the actual city and the neighborhoods within the county which are often listed in the MLS as Honolulu. Each of these areas of the city has one or more residential neighborhoods, some more famous than others. Real estate will vary in price based on which area of the city it is located in. For instance, neighborhoods in and around world famous Waikiki are going to have multi-million dollar properties while areas farther northward or inland may have homes priced quite reasonably, starting at $200k and up. Visitors who have come to Oahu and stayed in touristy locations such as Waikiki, Downtown Honolulu or in one of the timeshares or vacation rentals in Diamond Head just aren’t aware that there are so many more neighborhoods that make up what the locals refer to as the City of Honolulu. If you are looking for a vacation home on Oahu or are thinking of relocating to the island, it is probable that you might get lost in searching through the listings of available properties. Do yourself a favor and get a well detailed map of the island before you approach a realtor. Once you have a visual reference point you can start looking for properties in or around the specific area you would like to live. A quick look at any realtor’s MLS listings will show that almost every listing is labeled ‘Honolulu.’ According to Honolulu Magazine, there are an amazing 40 different neighborhoods in their Honolulu Real Estate section, and that is only a partial list of neighborhoods actually considered to be part of Honolulu! The ‘odd’ thing about real estate in Honolulu is that you can find residential property from a small resort apartment to a 10+ acre palatial estate for about the same price! Consider the fact that there are 2/3 condos listed in Trump Towers for $9,980,000 on the same MLS that lists a 3/2 property listed for $10,900,000 which includes 11+ acres overlooking coveted Hawaii Kai! Of course, there are also reasonably priced single family residences, condos and multi-family units in the north and inland neighborhoods that start as low as $200k. 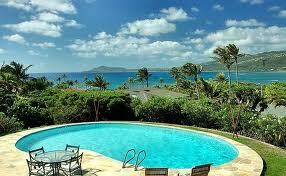 However, the beauty is that no matter where you find real estate on Oahu (Honolulu County) you will have a property that is coveted by anyone’s standards. Keep in mind that even the most reasonably priced real estate is quite close to the hub of activity in downtown Honolulu or Waikiki so you are never far from something to do or something to see.